EZPZ Hosting provides a variety of services since 2007. The company is headquartered in London, and its servers are in the UK, USA, and India. It’s quite a quest to find any information about this company, however. Currently, there are 2 shared hosting plans on offer: Startup (starting at £2.49/mo) and Ultimate (starting at £6.99/mo). As the site is a British one, prices are in GBP (pound sterling), not much to the convenience of the US customers. But wait, when you go to the purchase page, prices get converted to US dollars. Huh, convenient, after all. They can be purchased on a monthly, semi-annual, annual, biannual and triennial basis. The most beneficial option is a 36-month one, of course (see the table above) as monthly plans come for $6.53/mo and $13.07/mo respectively. However, it might not be appreciated by those who don’t appreciate long-term engagements. Their kit, otherwise, seems pretty standard, as it includes hosting options for individuals, businesses, reseller hosting, VPS hosting, dedicated hosting services and domain providing. Also, it provides SSL certificates, budget reseller hosting and licenses. The service uses a flexible approach to each client and strives to show great quality at affordable prices. Your choice of a hosting solution depends on your goals and budget: you can trust them to run a personal website or represent your growing business on a global scale. 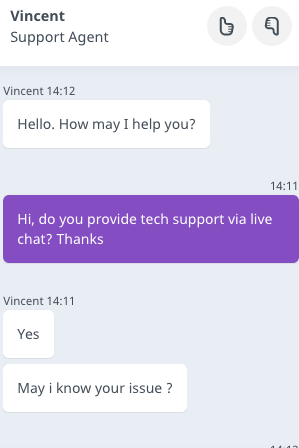 Technical support is just fine. Live chat is, well, live. There should be a bit more contact information though. EZPZ Hosting’s HRank was 4.5 in 2018; its position on the list: 125. EZPZ Hosting’s uptime could be quite all right if not for the ~92% downtime case that took place in October and a few less severe downtime cases during the monitoring period. Together they, however, influenced the rating badly. EZPZ Hosting’s response time was slower than average and mostly stayed in 700ms – 900ms range. Sometimes there were even slower responses noted. Also, the response time from domains on shared IPs can be called unstable. Shared IP number didn’t change at all in 2018 – 11. First, an increasing trend in the number of domains changed to the decreasing one and it can be seen that EZPZ Hosting lost a certain number of websites by the end of the year.